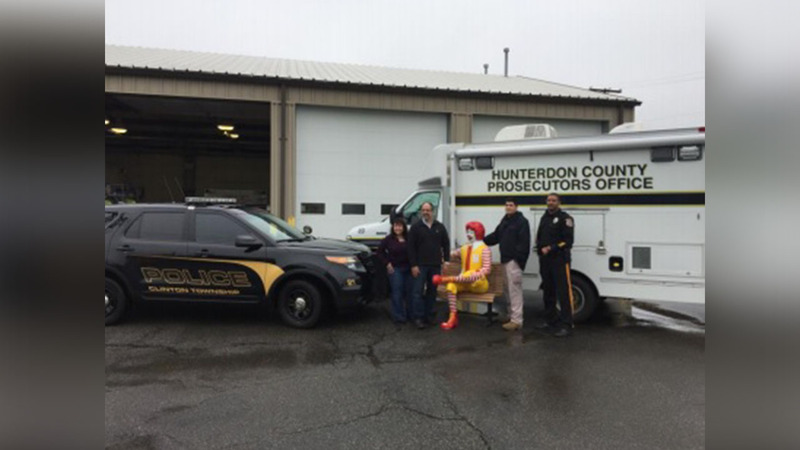 HUNTERDON COUNTY, New Jersey (WABC) -- A Ronald McDonald statue that was swiped from a McDonald's in New Jersey has been found. The life-sized statue, and the bench it sits on went missing last week from a McDonald's in Hunterdon County that's under renovation. Authorities say Ronald was recovered thanks to detective work, but are giving no details on how or where. They say the investigation continues.